Nestled in the hillside, Homeleigh offers all the comforts of home. 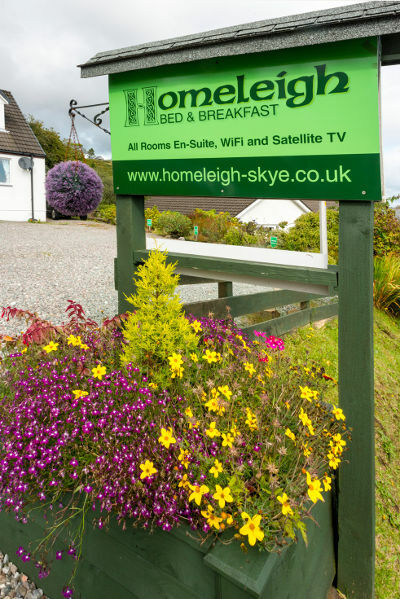 A warm welcome awaits you at Homeleigh Bed & Breakfast in Ardvasar on the Isle of Skye. Nestled in the hillside, Homeleigh is a modern detached house providing all the comforts of home. 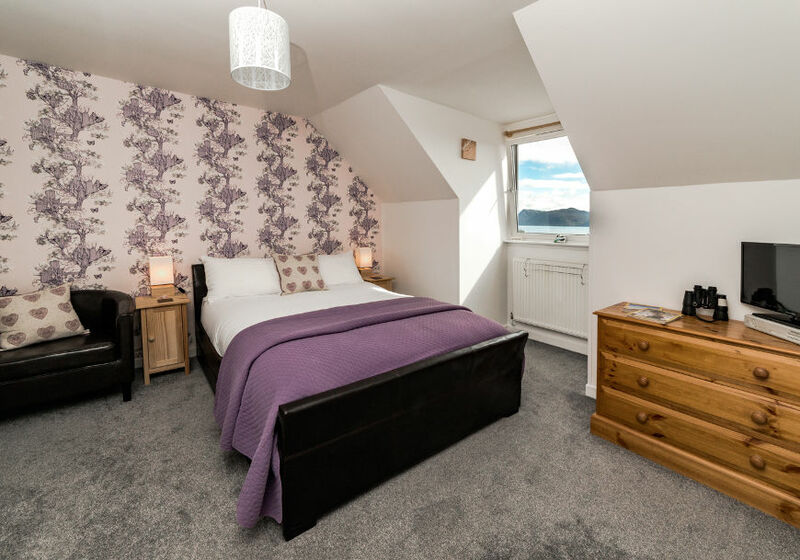 Located in the southern peninsula of Skye, known as Sleat, we have panoramic views across the Sound of Sleat to the fishing village of Mallaig, Loch Nevis and the Knoydart Peninsula on the mainland. 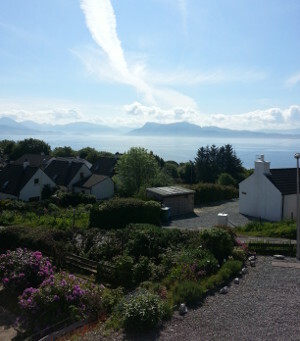 Homeleigh is within one mile of the Armadale to Mallaig ferry terminal. Close by are craft, pottery and clothes shops, hotel restaurant, café and foodstore. We are within walking distance of the Armadale Castle and Museum of the Isles which includes a library full of fascinating details of clan ancestry. The Isle of Skye is renowned for its beauty, history, culture and of course abundance of wildlife. There are many opportunities for walking, fishing and ‘wildlife spotting’ including possible sighting of otters, whales and dolphins. Three king-size bedrooms (maximum of two sharing). The three king size bedrooms all have sea views. 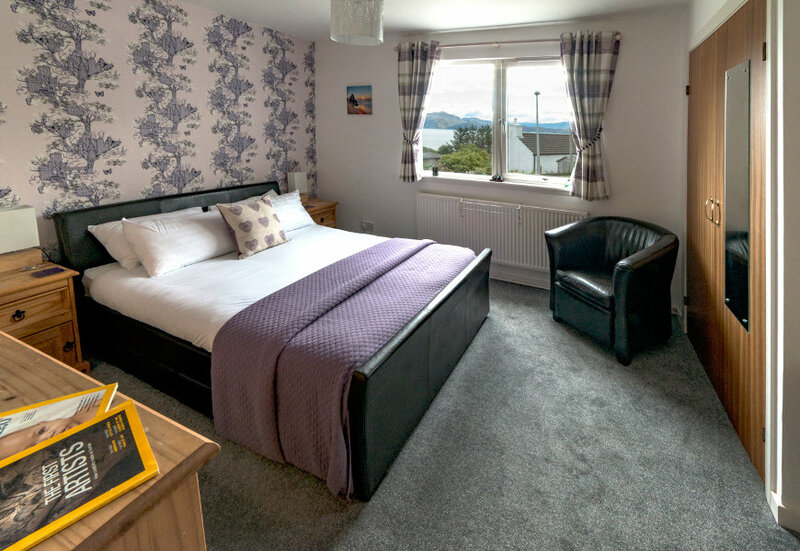 They are en-suite and include tea & coffee making facilities, satellite TV and Wi-fi. 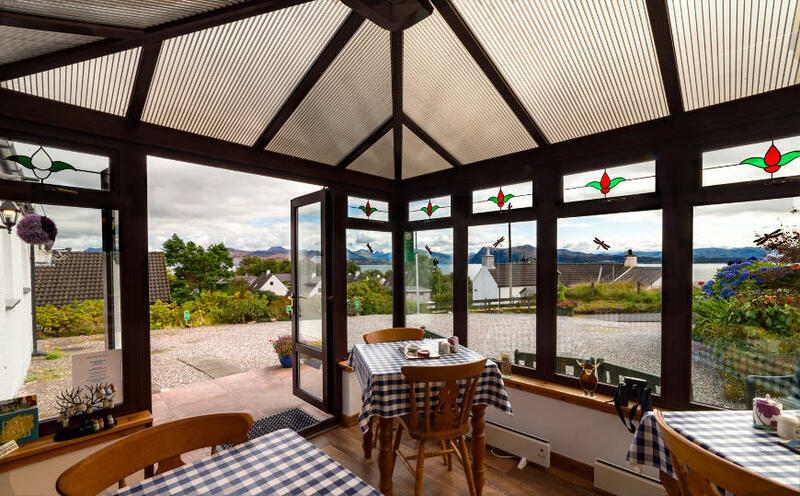 The guests dining area is the conservatory where you may enjoy superb views whilst breakfasting on full Scottish or ‘Continental’. Where possible the food is locally sourced and only free range eggs are served. 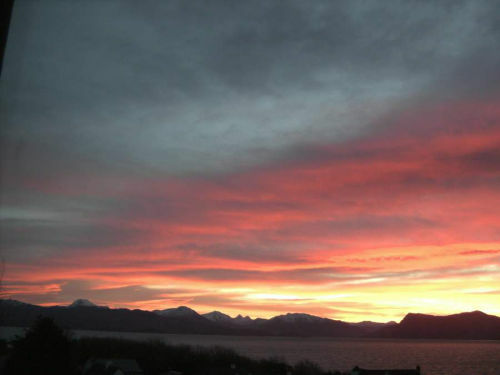 Evening meals can be obtained at the Ardvasar Hotel, a pleasant stroll away. Homeleigh is a strictly non-smoking establishment. We are unable to take dogs. Follow the signs into Ardvasar. Homeleigh can be found on the right hand side of the road with a green sign board. Our rooms can not accommodate an extra bed or 3rd person. Check-in is between 5pm and 9pm unless otherwise arranged. Check-out is 7:30am - 10am.